True, the budget allotted to historical monuments and museums in France has managed to resist a bit better than that of our neighbors. In Europe, museums and historical monuments in countries such as Italy, the Netherlands or Spain, have seen their funding decimated. Yet this relatively positive aspect has been largely canceled by the incredible attacks on heritage carried out and encouraged by Nicolas Sarkozy’s administration which has gone far beyond the practices of previous French presidents. This policy comes dangerously close to what we experienced in the 1960’s and early 1970’s when entire neighborhoods in our cities and some of our most important monuments were destroyed in peacetime, all in the name of progress. The announcement pronounced by the President of the French Republic during the opening statements of his television address on 29 January, that "all lands, housing and buildings will see their construction allowances increased by 30%", which corresponds to an increase of the COS (Coefficient d’occupation des sols) [Plot ratio] therefore higher buildings, or the Coefficient d’emprise au sol [Land occupation ratio], thus wider, anywhere in France, with no attention to the aesthetics or urban design of our cities and villages, constitutes the ultimate attack on our national heritage. We cannot provide an exhaustive account, in this editorial, of the scandalous measures passed under the presidency of Nicolas Sarkozy. A brief look at the articles devoted to heritage threats on the French version of our site will suffice to understand the extent of the harm. This measure joins Benoist Apparu’s "urbanisme de projet" ; the attacks aimed at the Architectes des Bâtiments de France resulting in the elimination of the ZPPAUP  now replaced with the AVAP , offering much less protection and extremely complex to enact, which Frédéric Mitterand nevertheless dared to celebrate during his new year’s wishes to the press ; the decision to develop wind energy with no consideration for historical monuments, which is now threatening even the Mont Saint Michel ; the countless acts of aggression to monuments leaving the French Ministry of Culture helpless to ward off political interests (château d’Ancenis, the rue des Carmes in Orleans...). The results of this policy are frightening. Alas, there is no indication that things will improve any time soon, no matter who wins the upcoming presidential election. 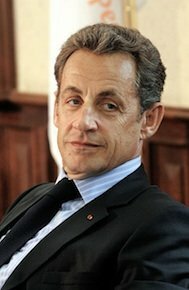 The policy pursued by Nicolas Sarkozy towards France is comparable only to that inflicted by Bertrand Delanoë on Paris, often in alliance between the two. And Bertrand Delanoë will be appointed minister under François Hollande if the Socialist Party’s presidential candidate is elected. Urgent action is now needed more than ever to combat this new wave of vandalism. This will be a difficult battle to wage on the political front, alas, but the associations for defense of heritage, on either a local or national level, state approved as being of public utility, such as the Société pour la protection et paysage de la France, are ready to act. Everyone interested in our heritage should become a member of at least one national and one local association in order to provide support and, if needed, take legal action. Not doing anything means becoming an accomplice to our uncultured national leaders. Zones de protection du patrimoine architectural, urbain et paysager. Aires de mise en valeur de l’achitecture et du patrimoine [Areas for enhancement of architecture et heritage].